Archeological finds show that even before the Portuguese explorer Fernão de Magalhães (Ferdinand Magellan) reached the shores of the Philippines in 1521, there were centers of civilization in Batangas that traded with China, Japan, India, Borneo and possibly more. In 1570, about five years since the Conquistador Miguel López de Legazpi first landed in the Visayas with orders from King Felipe (Philip) II of Spain to start a colony, Batangas was the first area in the main island of Luzon explored by the a Spanish expedition headed by Master-of-Camp (the equivalent of colonel) Martin de Goite (or de Goiti) and Captain Juan de Salcedo. Augustinian missionaries who had sailed with de Legazpi soon started setting up Christian settlements called pueblos along the shores of Laguna de Bombon (presently called Taal Lake). The first of these was in 1572 near a village called Balangon, and it was from this pueblo that Taal would subsequently grow. Other pueblos from which modern towns and cities would arise were to follow: Batangas (1580); Tanauan (1584), which would merge with Sala (1586) in the 18th century; Lipa (1605); and Baoang (1641). These were just the ones that were started by the Augustinians. These missionaries wasted no time learning the language of the natives, i.e. archaic Tagalog, and late in the 16th century published a book entitled “Doctrina Christiana en Lengua Española y Tagala Corregida Reglos por Los Religiosos de las Ordenes,” which they used to convert and instruct the natives in the ways of Christianity. Balayan was already a thriving center of civilization even before the Spaniards arrived and at the dawn of the colonial era would be designated an early seat of government for what would eventually become the Province of Batangas. At this time, the province’s dominion extended all the way to Marinduque, Mindoro, Camarines and parts of what is present day the Province of Laguna. This seat of government would later be moved to Taal, when this pueblo had moved closer to the lake to where the present-day town of San Nicolas is located. Taal Volcano’s destructive activity going on through the 18th century would ultimately force the relocation of the lakeside pueblos away from the Laguna de Bombon and into safety. The 1754 prolonged eruption even altered the province’s topography. 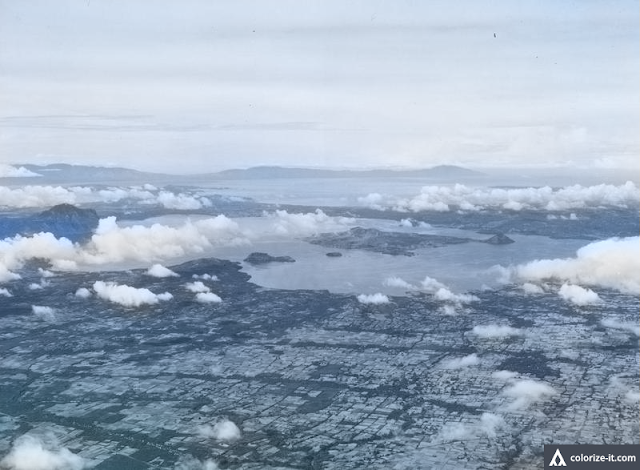 Before the eruption, a channel wide enough to be navigated by ocean-going galleons connected Laguna de Bombon, then a saltwater inlet, to Balayan Bay. Volcanic debris closed off the channel and left only what in the present day is called the Pansipit River. The inlet would become, over time a freshwater lake, the creatures caught inside it were forced to evolve or perish. Although Batangas is recognized as among the provinces that rose up against Spanish rule in the 19th century, as early as 1745 there was already political unrest in Balayan, Calatagan, Lian and Taal. Led by one Francisco Matienza, the unrest was less about national fervor and more a spillover from the neighboring Province of Cavite of feudal disputes with religious orders. In 1763, whilst the Philippine Islands were technically under the rule of Great Britain, British troops under one Captain Thomas Backhouse ventured into Lipa, the town of Batangas, Taal and as far as Balayan chasing after the treasures of the galleon Philippino, which the Spanish took great pains to keep away from them. In the 19th century, Batangas has become among the wealthiest provinces in the entire country. Lipa, in particular, because of the coffee boom, had become very affluent. Its income and the fact that its coffee production made the Philippines among the world’s top producers earned the pueblo the distinction of being named Villa de Lipa, an estate of the Spanish crown. Because of Batangas’ affluence and the fact that many of its citizens were well-educated, many of its prominent families provided not just the intellectuals but also the funding for the brewing nationalist movement late in the 19th century. Hence, many Batangueños of this era are immortalized in Philippine History for their roles in the Philippine Revolution, which broke out in 1896: Apolinario Mabini; the brothers Galicano and Leon Apacible; Eulalio and wife Gliceria Villavicencio; and Don Felipe and wife Marcela Agoncillo, to name but a few. Many of the province’s peasant class, tired of Spanish oppression, also joined up with the Katipunan. Much of the actual fighting during the revolution took place in what is present-day Metro Manila and Cavite. However, the Katipunan also planned audacious attacks on Lian under Generals Santiago Alvarez and Mariano Riego de Dios; and Talisay under General Emilio Aguinaldo. Upon the defeat of Spain by United States forces under Admiral George Dewey, assisted by Filipino forces, the former ceded the Philippines to the latter in exchange for a payment of $20 million as agreed during the Treaty of Paris in 1898. Earlier, General Emilio Aguinaldo had sent Don Felipe of Taal first to the White House to plead with the United States to recognize Philippine independence. Unsuccessful, Agoncillo sailed to Paris to get his case heard by the Peace Commission, but to no avail. In late 1901, the US Army General J. Franklin Bell employed a policy forcing civilians in Batangas to live in concentration camps, thereby preventing them from supporting the forces of General Miguel Malvar, who had gone underground using guerrilla tactics against the Americans. The tactic was successful and in April the following year, Malvar was the last Filipino general to surrender to the Americans. His surrender effectively ended the war. Malvar’s surrender meant that Batangas could be returned to civil government. In the early years of the American colonial rule, and with liberal and universal policies of education being implemented, Batangueños flourished. This era brought a fresh new crop of intellectuals immortalized in History: Gregorio Zara, the inventor of the video-phone; Teodoro Kalaw, Father of Philippine Libraries, and Maximo, and his brother, among the foremost students of government in the country; and Clemencia Lopez, among the founders of the feminist movement in the Philippines. There were also nationalists like Fidel Reyes who frowned upon American rule and exposed through his writings the hidden agenda of some American officials. The outstanding public servant Antonio de las Alas of Taal earned a law degree from Indiana University aged 19. Ma. Orosa, also of Taal, was a chemist who invented Soyalac and the by-now ubiquitous banana ketchup. Late in 1941, in anticipation of a Japanese invasion, the provincial government of Batangas briefly relocated to Ibaan. Japanese occupation early the following year meant that the entire province would soon be under Japanese military rule. The Japanese Imperial Army took over a crude American built airfield in Lipa and expanded it for use by its airplanes. The airfield was known as Lipa West Airfield, which would later become Basilio Fernando Air Base. Not far from this landing field, the Japanese also built a smaller and lesser known airfield known as Lipa East. During the Japanese occupation, guerrilla forces operated underground in Batangas harassing Japanese troops, collecting intelligence or just keeping peace and order in the towns. Among the more notable of these were the Fil-American Irregular Troops (FAIT), the Hunters/ROTC and Emilio Macabuag’s Major Philips Unit. Meanwhile, the entire country was governed by a puppet government of the Japanese led by Dr. Jose P. Laurel of Tanauan. Laurel would subsequently be accused of treason but his acceptance of the 2nd Philippine Republic’s Presidency had the blessings of President Manuel L. Quezon of the Philippine Commonwealth and was premised on keeping Filipinos out of the war. On 31 January 1945, American troops landed on the beaches of Nasugbu for the liberation of Luzon. These troops initially supported the liberation of Manila, but would later participate in the liberation of Batangas, which would commence late in March. This was the crucial time when Japanese forces, knowing that the Americans were close by, went on killing sprees in Batangas. An estimated 25,000 in all were killed in the province alone. Of these, about 5,000 were in Lipa, where the most number of guerrillas also operated. By May, the entire province was liberated from Japanese rule, excepting pockets of resistance here and there. As United States forces left for Okinawa to prepare for the invasion of Japan, those left behind in the Philippines set about the task of rebuilding and returning the entire country, not just Batangas, to a semblance of normalcy.